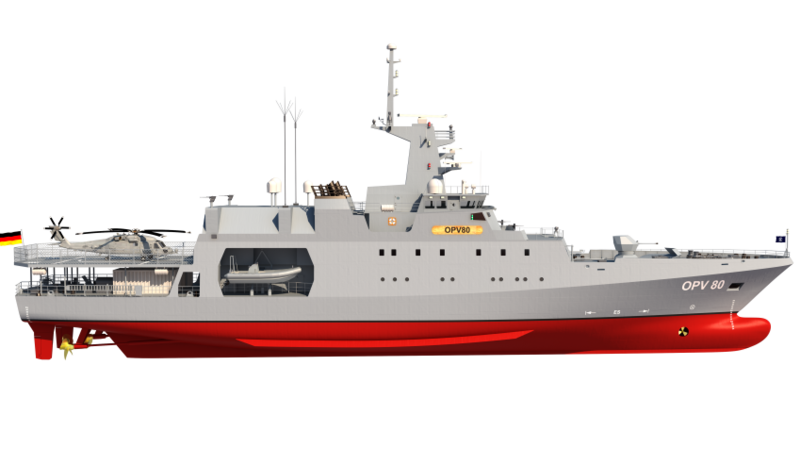 While ASC Shipbuilding and Forgacs Marine and Defence have increased their odds by partnering with two of the three contenders for the Offshore Patrol Vessels contract, German company Fassmer and Austal, Australia’s largest defence exporter, have forged their own path in the hopes of securing the coveted contract. Austal chief executive David Singleton and Fassmer managing director Harald Fassmer spoke to Defence Connect about the companies' decisions to partner for construction of the minor warships, with Singleton maintaining that the Fassmer design is the best of the three in Austal's view. "It fell into two categories for us," explained Singleton. "First of all it was about the quality of the vessel for the Navy. We looked at the three different designs that were put forward and we came to a very strong conclusion that the Fassmer vessel was the best of the three across a whole range of points ... so that was kind of a big dive technical analysis that our engineering people did. We thought the Fassmer vessel was the best of the three." Singleton also stressed that the Fassmer bid offers the best opportunity for Australia to fully create a sovereign shipbuilding capability. "The second thing though, which I would say was probably the most important issue for us, was that we know very well that the government's clear intent is to create a sovereign shipbuilding capability in Australia," said Singleton. "Which means that the intellectual property sits in Australia in the minds of Australians, and Fassmer were the only company who were prepared fully and without qualification to transfer the intellectual property, the capability, across to Australia in a way that was unhindered. "What I mean by that is often you'll see companies make commitments to transfer technology but they protect that in a way that isn't transferred as fully as you would think, and the Fassmer approach was very much in line with what the government wanted, so I think it not only meets the needs of defence, which is the quality of the vessel, but meets the needs of bringing industrial capability in the country, which, of course, is very important as well to the political side of the decision making." And while Austal has been highly complimentary of the German shipbuilder, Fassmer has shown equal admiration for the Australian shipbuilding company. "From our side, of course it was important to select the most capable Australian shipbuilder," explained Fassmer. Fassmer said that Austal's proven record in the shipbuilding industry was a major selling point, along with the companies similarities. "We took quite a time to build it and to learn as much as possible about the Australian shipbuilding industry, and for us it was then pretty obvious that with Austal we could co-operate and we saw the most capable Australian service shipbuilder," said Fassmer. "Austal has a long track record, has been working for the Australian defence industry and successfully delivered a huge number of vessels and has already an in-house and proven design department as an existing Australian supply chain, [which] were important factors for us to finally select Austal as our Australian partner. And apart from that, I think that both companies, Austral and Fassmer, we are more a similar size, we share common values, there is a comparable culture that we have met in Austal, so I think all that made us quite confident that in Austal we have the right partner." The two other contenders for the $3 billion project, Damen and Lürssen, have both teamed with ASC Shipbuilding and Forgacs Marine and Defence. Two of the 12 vessels will be built in South Australia, with construction set to commence in 2018, while the remaining 10 will be constructed in Western Australia.